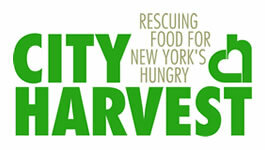 City Harvest, New York City’s largest food rescue organization, announced today that Chrissy Teigen, TV host, model, and bestselling author, and Antoni Porowski, Emmy Award-winning TV personality, actor, food expert, author and restaurateur, will co-host City Harvest: The 2019 Gala, on April 30. Teigen and Porowski are also members of City Harvest’s Food Council, a group of culinary experts and top chefs that support the organization’s work to rescue good food that would otherwise go to waste and deliver it to New Yorkers in need. The event will honor Richard Gere, Golden Globe Award-winning actor and activist; Marc Granetz, MG, Chief Administrative Officer, JPMorgan Chase and City Harvest board member, and his wife Kris Granetz; and Michael White, Chef and owner of the Altamarea Group, which includes two Michelin-starred Marea, one Michelin-starred Ai Fiori, and Vaucluse. Each of these honorees has shown tremendous commitment to supporting City Harvest’s mission to help our neighbors in need put meals on their tables. “We’re honored and excited to have our long-standing friends, Chrissy Teigen and Antoni Porowski, co-host the City Harvest 2019 gala. We know their energy, humor, and commitment to our work will make it a memorable and very special night, and we’re so grateful to them for supporting our work rescuing and delivering food for New Yorkers in need,” said Jilly Stephens, City Harvest’s Chief Executive Officer. City Harvest: The 2019 Gala will take place at Cipriani 42nd Street in Manhattan. The event brings together celebrities, influencers, and NYC’s high profile individuals, and is the organization’s most important fundraising event of the year. It features an elegant dinner with live and silent auctions. Past attendees have included Julianne Moore, Chelsea Clinton, John Legend, Cynthia Nixon, and Martha Stewart. Chef supporters have included Eric Ripert, Geoffrey Zakarian, José Andrés, Tom Colicchio, Marc Murphy, Marcus Samuelsson, Donatella Arpaia, and Ted Allen. City Harvest’s 2018 gala raised nearly $4.7 million, enough to help feed more than 17,000 New York City families for a year.